Swap Magic | Welcome to the Underground. 7-2-10: Added new note about sensors blocked. 11-24-10: Fixed link for download. 8-14-12: Fixed link for download. 8-15-13: Fixed link for download. The PS2 is a great console. After 9+ years, it is still going strong. With the new $99 price point, more and more people are getting the PS2 to play old school PS2 games. What better way to breathe more life into your PS2 than to play your precious Playstation 1 games? Why not backup those PS1 games, so you can enjoy the backups on your PS2 without destroying the original PS1 games? This guide is based off of Free McBoot implementation. Foreword: This is one of my favorite tutorials, and re-writing it from scratch is a lot of work. By doing it over again, I hope to convey to you the awesomeness of the PS2, and if you are an owner of it, you need to give it more love than you think it deserves. It needs you, and you need it. As usual, The Undergound does not support or advocate piracy. We support making backups of games that you own. We realize that sometimes games can be scratched, so making a digital backup is impossible and in lieu of buying the game again, you can download the PS2 game from a torrent. If you do this method, only do it if you own a retail version of the game. 6-23-09: Re-release of a classic tutorial. 2-6-10: Removed the youtube link until I upload a new video. 12-13-12: Fixed Nero image again. Yes, it is true. You can make a backup of your PS2 game (for legal purposes of course) to preserve your original game. However, what do you do if your favorite game has gotten scratched up over the years? Do you want to go out and buy another copy of it? Oh wait, Gamestop doesn’t have that game anymore? What are you going to do? It is my understanding that some people know about the whole scene related to PS2 modding, and some don’t. Perhaps some are just getting onto the bandwagon, and perhaps some have moved onto other consoles for modding and left their PS2 in the dust. Now that the PS2 slim is only $99, it has made many people eye the price and consider modding it to create backups of their existing games and save their PS2 library while the PS2 is still alive. Whatever the case may be, I am going to explain what PS2 modding is, why you may be interested, and how you can do it. Please note that modding the PS2 is not illegal, it is the intention of what you may do with it is illegal. The DMCA thing is not very clear, nor has it been, but I assume it is all right to make back up copies of games you own. It is illegal to get backed up copies of games that you don’t own. It is just stealing. I will leave it to that. What you do is your own business. 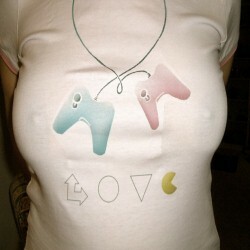 Do you have a PS3? It is not crackable yet, but someday it can be. Anyway, according to the afterdawn website, a modder took it upon himself to mod his PS3 by installing a switch. What this ultimately does is load swap magic, then flip the switch to spit the disc out, and then you put your backed up PS2 game into it. Please note that the swap switch mod is only good for 1st and 2nd gen PS3 consoles due to the PS2 backward compatibility. The new PS3 for 3rd gen and above is ditching the PS2 backward compatibility, so the switch mod will not work. With the PS2 tutorials being the most popular here on the Underground, I felt it was my duty to help those sitting on the bench to find the magnificent program known as Swap Magic. What is Swap Magic? It is a boot disc that allows a user to play backed up games on their PS2. Remember that the PS2 comes in two flavors, a fat PS2 and a slim line PS2. You can use Swap Magic on both consoles, but how you do it will be different. The fat PS2 will need something known as a slide card. You can either make your own slide card, or buy it with your Swap Magic disc. To learn how to make your own slide card, please use the search option on this blog. 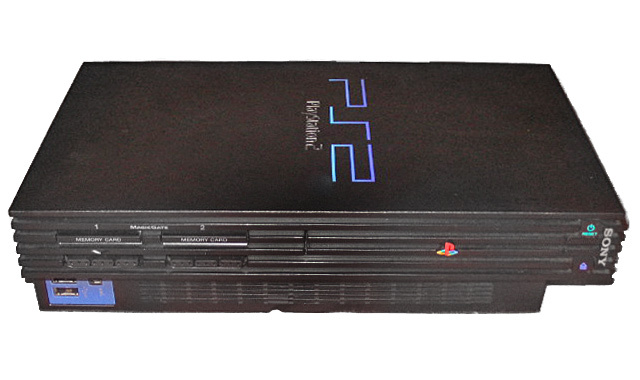 The slim PS2 does not use a slide card. Instead, you will need something called magic keys, which is really three things used to block the three sensors on the PS2. You do not have to buy these, you can make them yourself. Once again, search the blog for our tutorial’s to make your own. I have both the fat and slim PS2, and I have the tools for both consoles so I know what I am talking about. How many people download music that they didn’t buy? Say what you want, think what you wish, but as a tool, it is awesome and I stand behind Swap Magic. 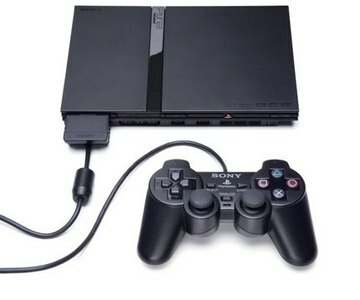 You do not need to open up your PS2 at all, which is a plus for both the fat and slim PS2. Now there are other ways to play games on your PS2 such as using a hard drive with hard drive program like HdaLoader, but that requires extra hardware. Swap Magic is the cheapest and easiest way to play your PS2 games. Any questions, leave a comment and heck, I will even help you pick out what is right for you. Check out www.estarland.com for Swap Magic. [Update] The origin of the picture and the video is credited to MusicMasteria. His website is here. [Update] Updated template picture, courtesy of MusicMasteria. Looking to buy Swap Magic? Save yourself a few dollars by not ordering the Swap Magic with slide card. Instead, order the Swap Magic disks, and then make your own slide card and save $5 bucks. Last weekend my brother took a fresh values card from Dominick’s and cut out a design that is effectively the slide card to use for the fat PS2. I will have him scan it so you can see what it looks like. I linked directly to the image, so its going to be a little wide. The dimension on the side that is cutoff is 1-1/8″. and a YouTube video from MusicMasteria demonstrating how to make your own slide card!